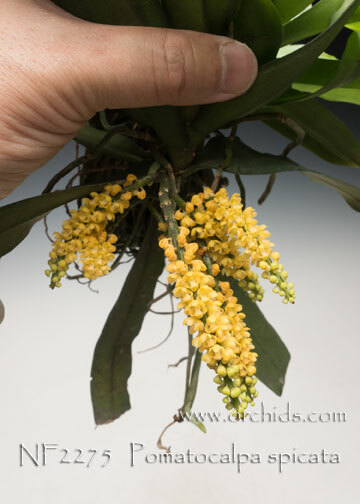 An intriguing and rare miniature species (formerly known as Gastrochilus obliquus), endemic to China, the Himalayas and much of southeast Asia, these hot to intermediate growers are often found in evergreen lowland forests and lower elevation montane forests ! 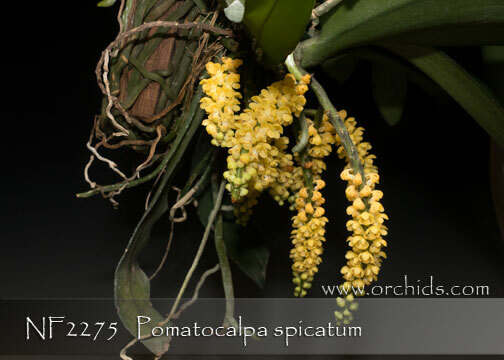 Their compact and pendant inflorescences appear in the spring and summer producing multitudes of successively opening yellow flowers lightly accented with burgundy-brown. This species is being grown mounted to allow for the best display of its cascading and delightfully floriferous inflorescences. For a unique miniature with a sensational display it is Highly Recommended !